The prestigious award reaffirms the commitment of Hyatt Regency Kinabalu to delighting guests by serving the finest cuisine for a captivating gastronomic experience. It all started when Executive Chef Tunku Farazil led his talented chefs in personally handpicking the best ingredients to prepare the dishes for a themed dinner which they hosted for the members and guests of Chaine Des Rotisseurs’ Sabah Chapter. The themed dinner called ‘The Journey’ was inspired by the variety of champagne, wine and sake originating from France to Australia, Japan to Italy. The highlight of The Journey was Tomahawk steak with freshly picked cherry tomatoes, asparagus and mashed potato with beef jus and Yorkshire pudding, all paired with a Wynns Riddoch Cabernet Sauvignon and Gaja DOCG, to further heighten the flavors of the dishes. 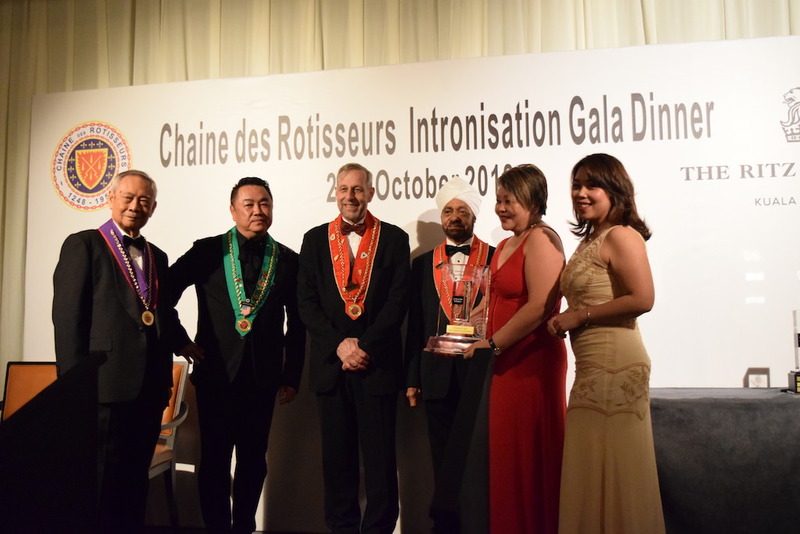 The Dato Lau Foo Sun Excellence in Dining Award was named by the founder Bailli Delegue, President of the Chaine des Rotisseurs’ Malaysia Chapter, after the late Dato Lau Foo Sun who served as the society’s president for 25 years. The judging was based on several criteria from pre-dinner experience, menu, wine and food presentation, service, ambiance and venue setting and overall dining experience. With nearly 25,000 members, the Chaine des Rotisseurs is an International Association of Gastronomy now established in over 80 countries, bringing together enthusiasts who share the same values of quality, fine dining, the encouragement of the culinary arts and the pleasures of the table.